Winter 2017 — On January 14, 291 volunteers from the Oregon State University community came together for the MLK Day of Service organized by the Center for Civic Engagement (CCE). These volunteers completed 13 service projects for local community organizations and nonprofits, including Habitat for Humanity, the Whiteside Theatre and Corvallis Parks and Recreation. Volunteers across Corvallis recycled shipping pallets into chicken house construction, scrubbed theater seats, built bookcases and lockers, painted rooms, moved furniture, pruned trees and removed debris — all in a good day’s work. 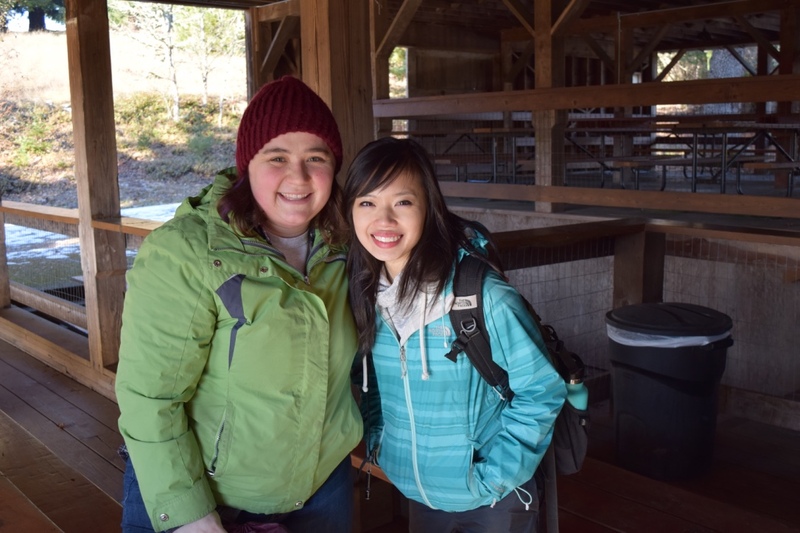 Joann Zhang, admissions graduate assistant in the Honors College at Oregon State, and Eliza Allison, student services graduate teaching assistant in the College of Pharmacy, served as site leaders at the MLK Jr. Park on the northwest side of Corvallis. Volunteers gathered to prune trees, collect debris and improve park safety and overall beautification. The Center for Civic Engagement, which organizes the MLK Day of Service every year, encourages this reciprocity of action when it comes to community service and other efforts. The MLK Day of Service is about working, not just for, but with the community in order to make it better. Yuriyah Reed-Harris, internal coordinator of CCE, sees the MLK Day of Service as an avenue for students to explore the ways they can make a positive impact. By participating, students are able to engage in areas of their community in need of help, as well as reflect on the work they've done and how to continue that work in the future. Reflection is an integral part, not only of the MLK Day of Service, but of the Center for Civic Engagement’s mission. “Reflection allows our volunteers to think deeper about the impact we make,” Reed-Harris said. “It allows them to start to formulate their own ideas about the root cause or systems in play that make the work we do necessary." "I think our reflection is a jumping off point for a lot of students in their social justice journeys," Reed-Harris continued. By taking time to reflect, students realize that most of the people using the services provided by nonprofits are "human beings actively fighting against systems that were built to make them fail" and not just victims of circumstances. "Reflecting gives people an opportunity to think beyond our single day of service or project to shaping a more equitable world for everyone,” she said. After cleaning up MLK Jr. Park, site leaders Zhang and Allison participated in a large group reflection with the other volunteers about what the day meant for them and for their community overall. “Being able to hear everyone’s thoughts on the event and how they think it impacted the community was great. I remember one of the participants saying how together we can accomplish so much, and that really stuck with me,” Zhang said. Allison felt similarly about the day’s impact on volunteers. “I hope that the MLK Day of Service will encourage students to continue to be civically engaged in their day-to-day lives. I know that it has renewed my inspiration to get involved,” she said. Moving toward a more equitable world starts with events like the MLK Day of Service, but doesn't end there. As reflected in the mission of CCE, working with community is an important practice every day.